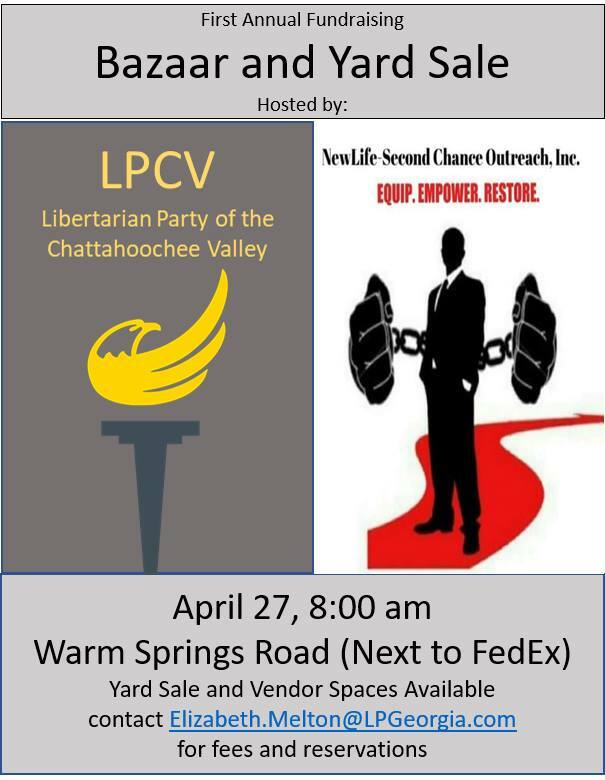 Please join the Libertarian Party of the Chattahoochee Valley and Newlife-Second Chance Outreach, Inc. in their first annual fundraising Bazaar and Yard Sale! Yard sale and vendor spaces available! Please contact elizabeth.melton@lpgeorgia.com for fees and reservations.